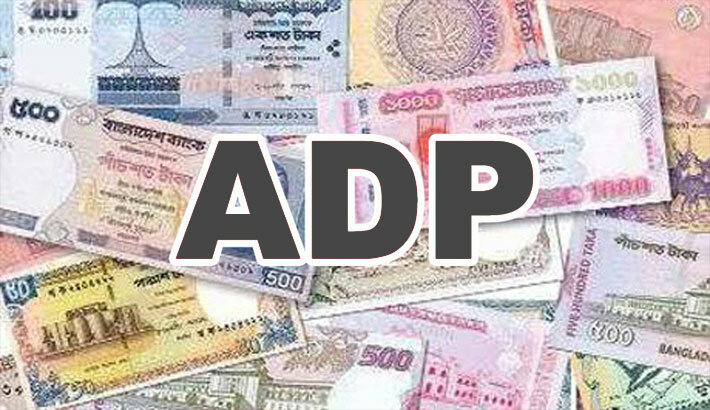 ADP execution rate hit the five-year high in the first eight months of the current fiscal as project aid utilisation maintained a steady growth this year. Total spending from the original annual development plan (ADP) stood at Tk 62,372 crore or 38.01 percent of the outlay during the July-February period, latest data of Implementation, Monitoring & Evaluation Division (IMED) say. ADP spending was Tk 45,532 crore or 36.91 percent in the same period a year earlier. The implementation performances were 34 percent, 38 percent and 36 percent respectively in the previous three years. “ADP implementation was the highest in the history in the first eight months as total spending reached Tk 62,372 crore,” commented Planning Minister AHM Mustafa Kamal while revealing the data at a press conference on Tuesday. Kamal expressed the hope of achieving a record GDP growth this year supported by the upbeat ADP execution status along with other positive economic trends in exports, revenue collection and foreign remittance. This fiscal’s ADP expenditure figure includes Tk 33,654 crore or 34.94 percent of local resources and Tk 25,341 crore or 41.94 percent from project assistance (PA). Foreign project money spending reached its peak in five years. In the period one year ago, PA spending was Tk 12,170 crore or 30.43 percent. In the previous three fiscal years, the rates were 30 percent, 36 percent and 35 percent respectively. PA utilisation strongly rebounded this year after facing a huge setback in the last fiscal year because of July 1 extremist attack at a Gulshan restaurant in the capital in 2016. Local resource spending trend, however, slipped to five-year low in terms of percentage. Local resource utilisation was Tk 29,427 crore or 41.62 percent during July-February period last year. During the previous three fiscal years, it was at 37 percent, 40 percent and 40 percent, even though spending figures were lower. Top 15 ministries or divisions that received 84.82 percent ADP money managed to post 39.84 percent overall implementation performance. Power Division achieved the highest rate of 74.73 percent, followed by local government division’s 49.01 percent and science and technology ministry’s 42.09 percent. Road transport and highways division posted 37.10 percent implementation performance, energy and mineral resources division 35.42 percent, bridges division 27.05 percent and railways ministry 12.12 percent.